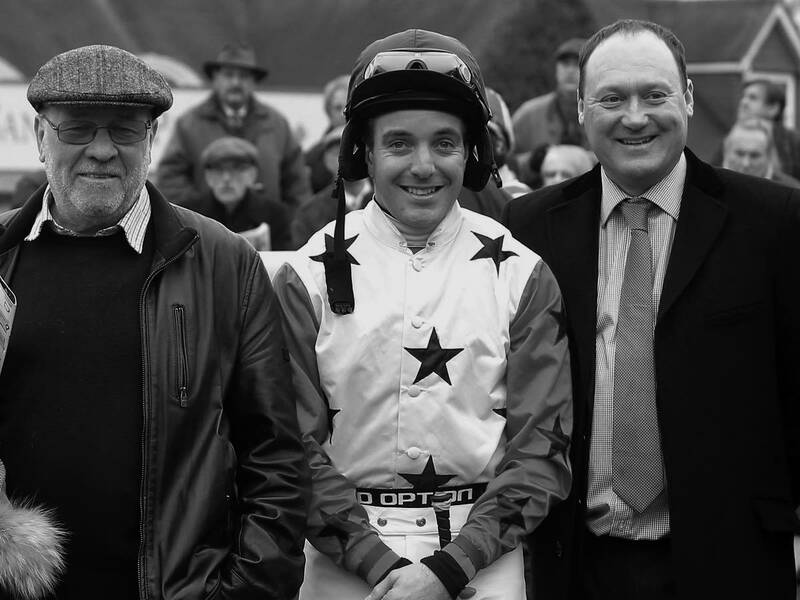 If you don’t want the cost and commitment of owning a racehorse but would like to be much more closely involved than just being a racegoer, then do consider joining our Racing Club . • Follow up to two Racing Club horses running in our Club colours. 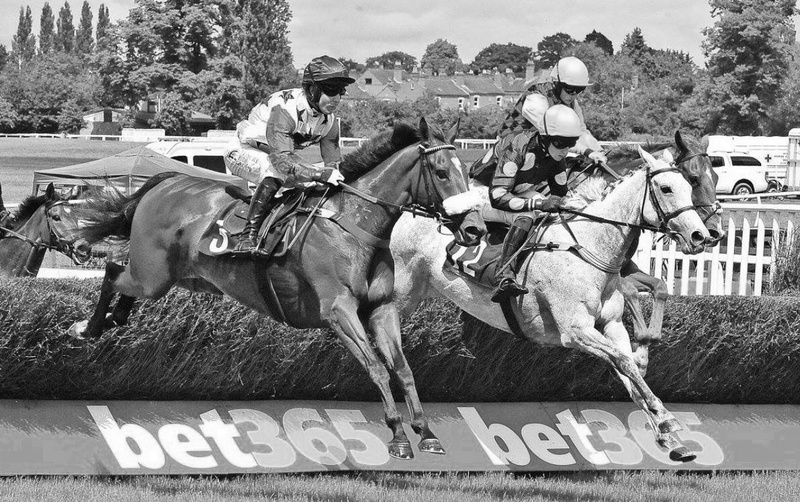 • A chance to attend the races as an owner when a Club horse runs. • At least three Club mornings at the yard and on the gallops per season, with breakfast. • Invitation to attend the annual Owners’ Day at the yard. • Regular email updates and photos. • All for only £500 per year, or £42 per month. For further information about joining please email Belinda Keighley or give her a call on 07979-694866. “What a fabulous day it was watching Viking Mistress win her second chase under Champion Jockey, Richard Johnson. Can’t believe how much fun and success we’ve had in the Racing Club. What a brilliant decision it was to join.” Fi Gamble. “It was a joy to cheer on Buckle Street up the Sandown hill. Without any doubt, if Carlsberg did racing clubs, they’d definitely do the Martin Keighley Racing Club. Probably the best racing club in the world.” Mick O’Gorman. “It was one of those days that you knew that Dr Dunraven was going to win, from the minute the tapes went up. Andrew Tinkler gave him a fantastic ride and it was a pleasure to see our horse win so bravely.” Jacqueline Hughes. “It was such a joy to be out on the gallops and then mingling with the horses afterwards, not to mention the Prosecco for breakfast! Wish I could start every day like that! !” Hilz Long. When and how do I join the Club? We have two entry points, one in winter and one in summer. The Club year runs for 12 months from 1st January to 31st December or 1st July to 30th June. You can join at any point into one of these seasons. All you need to do is contact Belinda Keighley and she can answer any questions and also put you into contact with Paul Davis who does all the day-to-day communications. How do I apply for owners’ badges when a Club horse runs? Horses are declared to race the day before for National Hunt racing and two days before for Flat racing. As soon as a horse is declared an email is sent to all Club members asking if they wish to enter the ballot for a free owners’ badge. How many badges does the Club make available? We make up to ten complimentary badges available. If we have more than that in the ballot for badges, we do our best to purchase extra ones for you from the racecourse at a reduced price. Can I have more than one owners’ badge per runner? Unfortunately not, since this would deprive other Club members of the chance to get a badge. However, there are occasions when the ballot is not fully subscribed. In that case we would offer them to members who might want a second badge. If you want to take a guest and the ballot is full, we can often obtain badges at reduced prices although this can vary by racecourse. If I join the Club, do I own a share of the horses? No. The Club operates to give its members many of the privileges of ownership without needing to pay the sometimes large capital sums involved in purchasing a horse. The majority of our Club horses are leased from their owners and return to them once the lease expires. Do I get a share of the prize-money? No. The Club is not being charged the full costs of training by Martin. It is a loss leader to help people become involved with the yard. Any prize-money won goes to off-setting this loss. We operate in this way because we hope that some Club members will take a step up the ladder and own a share in a racehorse themselves. Indeed, a number of Club members, having seen the friendly nature of the yard, have already done this, with all the extra benefits that entails. How many Club visits to the yard are organised each year? We organise at least two visits a year, as well as giving an invitation to Martin’s annual Owners’ Day in September. These dates are communicated well in advance so that you can easily plan to attend. What happens at one of these yard visits? We ask everyone to arrive quite early so that you have an opportunity to see the horses on the gallops. After watching the splendid horses work, we go back to the owners’ room to enjoy a bacon roll, hot drink or even something stronger. There is also a chance to wander around the yard and see all the horses in their stables. Can I visit the yard at other times? Sorry, but no. It’s a busy place of work and we ask members to restrict their visits to the organised Club events. However there is one way that enables you to visit at any time and that is to become a full owner – owning a horse on your own or in a partnership or syndicate. We always have a number of horses for sale or syndication and we are always ready to help anyone to do this. It isn’t always as expensive as you might fear, particularly if you become involved in a syndicate. Again, just ask Martin or Belinda for full details.